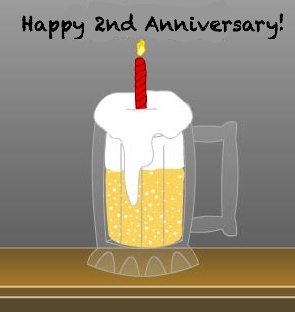 Celebrate our 2nd Anniversary on August 7th! Join us August 7th at 6 pm for our first-ever Barley’s Angels Summer Picnic and our 2nd Anniversary Celebration! The club will supply burgers (meat and veggie) and brats. Please bring a potluck dish (cooking with beer encouraged!) and your favorite beer to share with the group! We’ll be at picnic area #5 in Estabrook park. There will be raffle prizes and tons of beer-related fun. Hope to see you there! There will be a $5 fee for this meeting. For more information or to RSVP, check out the Facebook event. This entry was posted in Uncategorized on July 29, 2014 by barleysangelsmke.